Below are five simple, engaging twists on classic astronomy-themed science projects for homeschooled children of all ages. Each project has a suggested approximate age level, but these are not absolute as they are subject to your child’s unique interest, learning objectives, and ability. The moon is covered with craters. There are even a few on Earth, from when meteorites hit the planet! Scientists can measure the craters to find out roughly how large the meteorite that made it was. Students can create craters of their own to replicate this process. This is not overly complicated, so students should be able to handle it by the 5th or 6th grade. Three mostly spherical objects of three different sizes; these are your “meteorites.” It’s best to use objects no larger than a baseball to ensure the craters are easy to work with. Begin by creating a landing zone for your meteorites. Fill the bottom of the box with all of the flour, up to a depth of roughly 5 cm (~ 2 in). The precise depth isn’t important, but it does need to be level throughout the box. You can make sure it is even by gently shaking the box back and forth; adjust box sizes or add more flour if need be. Use the sieve to spread a fine layer of cocoa powder on top. Next, make a graph in your notebook to record the data. You’ll need to record the diameter of each of your objects, the diameter of three craters for each “meteorite” object, and the average diameter of those craters. Drop one of your objects into the box from an elevation of about 50 cm (~ 20 in). Be sure to drop it without throwing it or adding any extra force. Gently pick it up without disturbing the crater, then repeat the process two more times over different parts of the box at the same height and level of force. Measure the diameter of each crater and record it in the notes. Mix the contents of the box together, level them out, and apply cocoa again. Repeat the process with the remaining two objects. Graph your data with any convenient graphing tool, and then examine it to see the relationship between the size of an object and the crater it makes! Sundials harvest the natural movements of the sun to tell time. Building one will teach students the relationship between the time of day and the way the sun is moving as humans have done (without cell phones!) for thousands of years. This takes a small amount of construction, so it is best for students in or around 9th grade. Take the board outside and lay it in a spot that gets lots of light. Weigh it down with a few rocks so that it can’t move. Drive the nail into the center of the board, just deep enough that it won’t move. Look for the shadow of the nail on the sundial. Mark its location, and write down the time when doing so. Ideally, this will be at the start of a new hour, but this isn’t crucial. Make a new mark every hour. You have a sundial! You can leave it secured in place, or mark the ground and orientation to bring it back later. If you want, you can check your work by building a sundial template for comparison. Wait a few weeks, then return your sundial to the original spot. Watch the shadow move throughout the day, and you should find that it isn’t quite lining up with your marks. That is because the length of a day changes during the year, and your sundial proves that this happens. This project is a fantastic way to visualize the Earth’s own rotation, which causes the sun to appear as though it’s rising in the east and setting in the west at different times of the day. The universe is undoubtedly and incomprehensibly massive even to the most brilliant minds in science; this goes even more so for school-aged children. However, our own solar system is enormous in its own right, yet it is easier to conceive and replicate with a basic experiment. Humans tend to have trouble processing anything that exists on this kind of scale without a visual aid, so building a scale model will give students an understanding of the gigantic distances between celestial bodies in our local cosmic “neighborhood.” This is a fairly simple project but requires measurement so anyone in the 5th grade or higher should be able to complete it. Nine flags in different colors, or similar distinguishable, color-coded objects. Start by choosing your scale. Any scale can work, but it’s best to keep things fairly small to keep the model’s size under control and within whatever space you have available to work within. Figure out the size of the sun under your scale, and plug it into this page. That will give you all of the other measurements that you need. There are a lot of ways to do this experiment, but marking the planets with flags will make the most striking and memorable model. Head outside, and plant the flag for the sun in a convenient place. Use the tape measure to figure out where to place the flag for Mercury and onward until every flag has been placed. This will give students an insightful feel for our solar system’s planetary distances. Have them to multiply how far they walked by the scale multipliers to figure out the real size of the solar system. This project would be most effective in a larger space. If you live near a park with a relatively wide open space, it would be the perfect setting for this project. Each of us sees the subtle changes in the moon at night, but some students might be unaware of what creates the change of phase and why. This experiment will teach kids how long each phase lasts and how each phase appears. The only challenge here is staying up late enough to see the moon, so this is a good choice for those students in or around 7th and 8th grade. Start by identifying a spot that will offer a clear view of the moon. It should be elevated, and away from sources of light or haze. Parks are often a good choice (or a backyard if it’s dark enough). Use a reference to figure out when the moon will rise each night. Show up at the viewing location with a little bit of time to spare. Be sure to bring all of your tools with you! Take a long look at the moon through the telescope. Sketch the moon as it appears at that time in the notebook, and label the sketch with the time and date. The picture won’t be perfect, but it will be good enough to illustrate the general trend. Repeat this process every night for a full lunar cycle of roughly 29 days to see every stage of the moon’s progress. This project will depict the phases of the moon and would be most effective when used in conjunction with digital resources that display the movements of the sun, moon, and Earth in relation to each other. Some of these resources can be found below. This experiment can be tricky to schedule, but it will also give students a chance to see a rare and unusual cosmic event. Few things fill people with wonder like an eclipse, and it only takes a little preparation to see one. At the youngest, 7th and 8th graders should be able to do the preparation, but anyone can do the viewing. The first step is scheduling the experiment. Look at a list of upcoming solar eclipses to choose the date. They are not frequent, so it will be a special event. It isn’t safe to directly watch an eclipse, so the next stage is building a pinhole projector. Simply take one sheet of cardboard and use the needle to put a hole in the center. The whole should be as perfectly round and smooth as possible. When the eclipse is happening, hold the pin-holed sheet over your shoulder while facing away from the sun so that the sun can shine through it. Use the second sheet as a screen by keeping it at a distance and arranging it in front of the sheet with a hole in it. This will create an inverse image of the sun. Simply hold the screen further away from the pinhole to make the image bigger! Everyone can watch the eclipse on the screen. Most eclipses will only last a few minutes, so it’s best to enjoy it while it lasts and discuss it after it ends! Even if there is no impending eclipse in your area in the immediate future, there are plenty of online resources that can help students visualize what is happening in the solar system when these fascinating and strange events occur. Drawing diagrams or creating a visual model of an eclipse with the sun, moon, Earth, and shadows can be an alternate option in the meantime. Olivia Warfield is a contributing writer and media relations specialist for American Paper Optics. She is an avid-astronomy lover and looks back on science projects with a sense of sunny nostalgia. Pun intended. 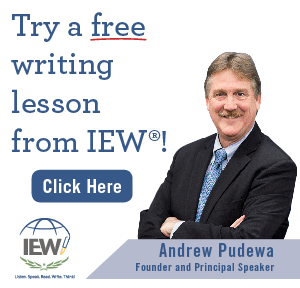 The views and opinions expressed in any guest post featured on this site are those of the guest author and do not necessarily reflect the opinions and views of The Wired Homeschool.